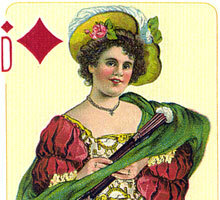 Casino pack made by J. Müller & Cie & Cie, Schaffhouse. The pack was probably designed by Josef Maria Melchior Annen (1868-1954) who also designed several other packs for Müller & Cie.
Also by Melchior Annen: Rococco • Richard Wagner • Troubador or Humanist. 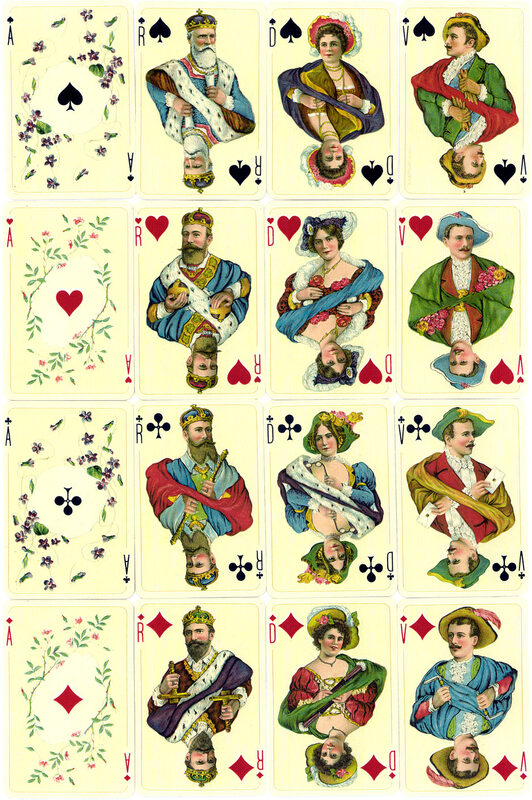 Above: “Casino” pack made by J. Müller & Cie & Cie, Schaffhouse.